ARE YOU READY FOR TEXAS BIG? 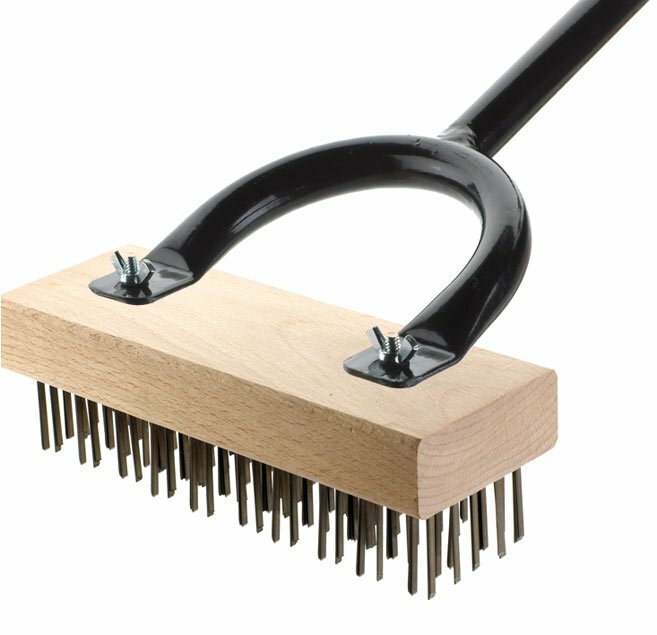 You can damn well be sure the Texas Brush can handle personal grills—whether they’re used in backyard bar-b-ques or tailgating before the big game. 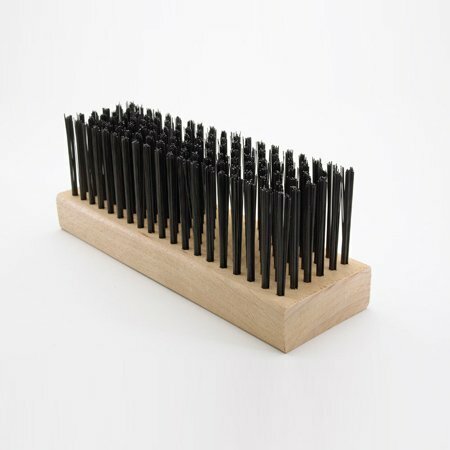 You see, this here Texas Brush™ is no ordinary brush. Its angled-head design makes easier work of cleaning the charbroiler. 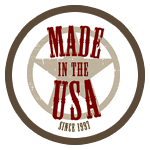 Every brush is handcrafted right here in America. Their thick hardwood handles come in either 2´ or 4´ in length—so you get some distance from the heat for comfort and safety. 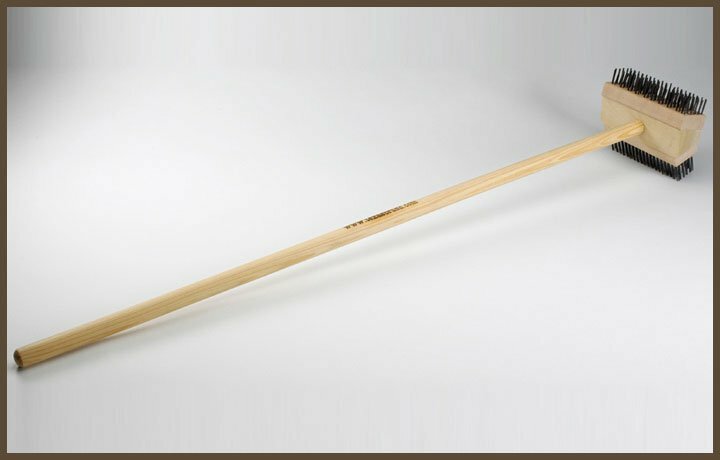 The Texas Brush can take the heat and punishment of busy restaurants. 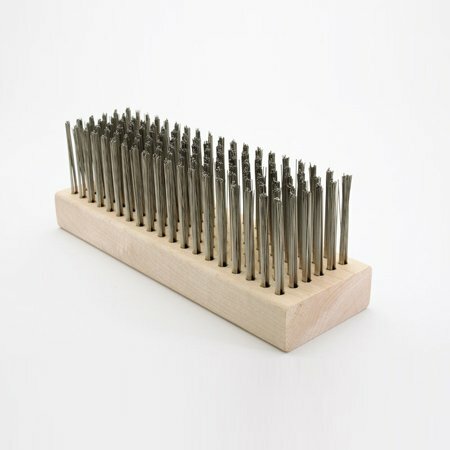 Handcrafted in the U.S.A., these brushes are things of beauty that you can actually use. 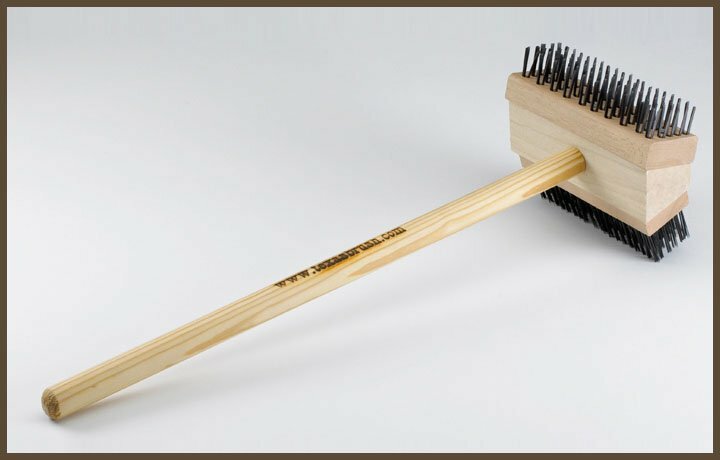 You see, this here Texas Brush is no ordinary brush. The wood block stabilizers come from actual trees. We toss away any discolored or blemished wood, and then we dry, cut, and sand each block. 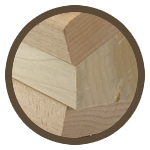 Our handles are cut thick— 1¼˝ diameter—with a choice of either 2´ or 4´ in length. That’s right: 4 feet. This baby’s big, bold, and beautiful. 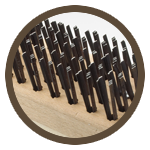 The bristles are 1½˝ long, and are made from tempered carbon steel designed to take the heat. But can you take the heat, pardner? 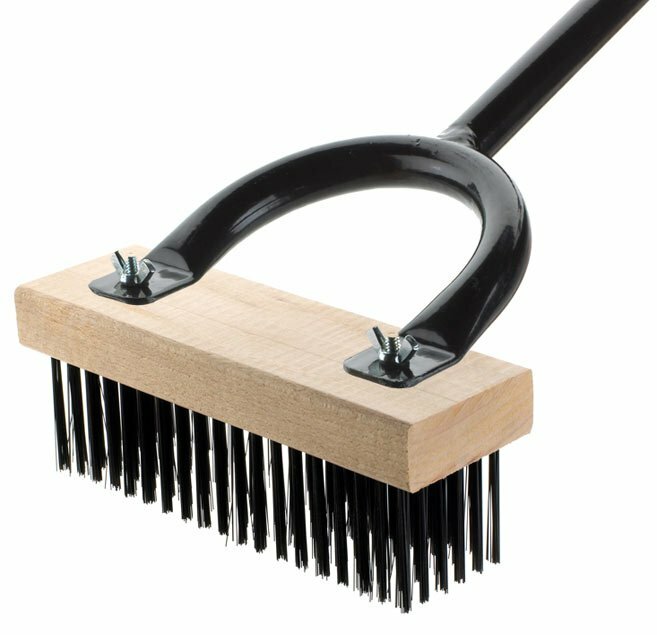 The Best Grill Brush You Can Buy, Guaranteed! WHEN THE HEAD WEARS OUT, REPLACE IT! Keep the handle, replace the head. Yep, it can be done. 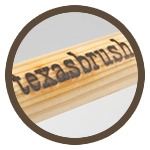 The handle on our Texas Brushes™ will last one day short of forever. When the head wears out, simply replace it. 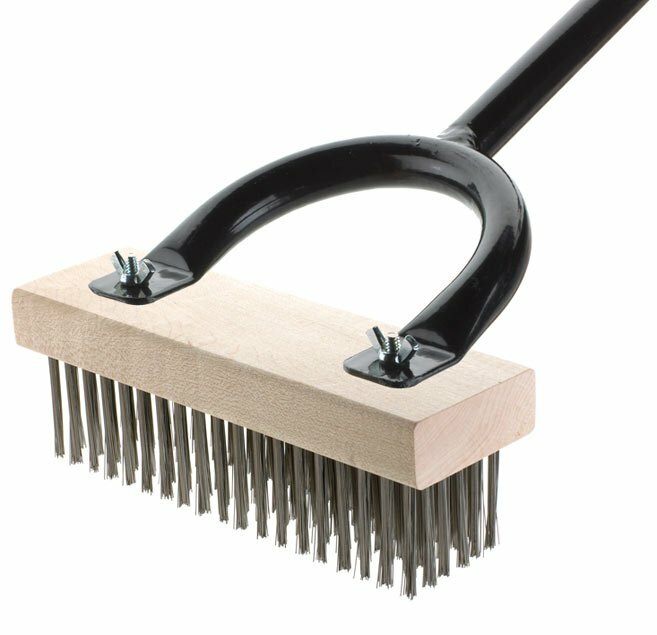 You can choose different types of brush heads: coarse bristles, stainless steel, and black steel. 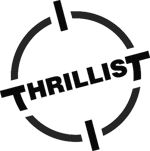 If you want Texas-sized deals delivered right to your inbox, join our email family and lasso up our exclusive money-saving offers. The brush is exactly what I expected it to be… my cooks love it. It works well with the type of volume we do, and the guys get a kick out of the super long handle! 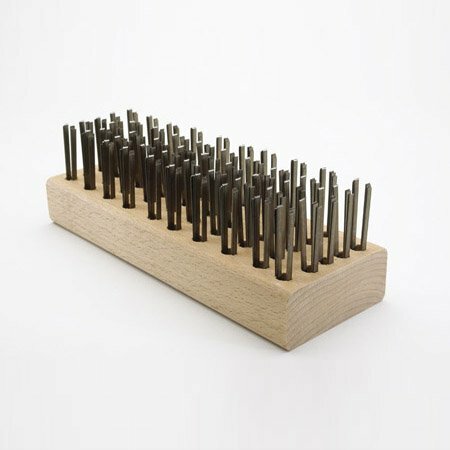 We could see right away that this is a serious brush— bigger, stronger, and more durable than anything we have used in the past. 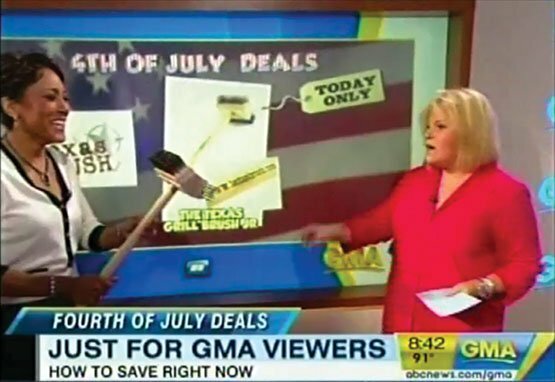 Good Morning America featured the Texas Brush on their show about Fourth of July deals! The ole’ Texas Brush was in good company with a grill, barbecue sauce, snow cone machine, and hammock. I love this. Don’t mess with Texas. This is what the big guns use in restaurants across the country: Applebee’s, Houston’s. It’s amazing.